Are you passionate about designing clothing and accessories? Come and learn the inner workings of the fashion and retail world! Do you love clothing and have a great sense of style? Fashion students learn to design and construct clothing from instructors who are experienced fashion designers. Students enrolled in this program explore the details of the design industry, including designing and preparing a collection for the school’s annual Fashion Show. Local designers, merchants and entrepreneurs are invited into the classroom to share their experiences, and to give students information about careers in the fashion industry. 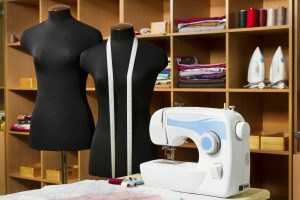 Fashion students venture out of the classroom for internships, giving them the opportunity to work hands-on in the industry, and create their own inspired clothing or business skills.